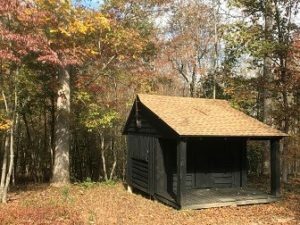 We, the Men of The Leadership Council, are excited and pleased to announce the selection of Cabin Camp 2 in the Prince William Forest Park (in our Nation’s National Park system) near Triangle, Virginia as the setting of our 2019 Chesapeake Men’s Gathering! We have confirmed reservations from the National Park Service for this beautiful campground. Our hero’s journeys and the archetypes we choose to accompany us. We will use the weekend as a model of a hero’s journey and meet some of the archetypes for a successful round trip. And remember, the hero’s journey is really the hero’s spiral because as we finish one journey we are preparing for the next one. In a mundane world that for many men is often a desert of pretension, self-medication and violence, the retreat weekend is a secure oasis where true community empowers us to tend to our spirits. Experiential exercises stimulate from-the-heart listening, feeling, and discussion, encouraging us to interrupt unfulfilling patterns and reflect on our roles, responsibilities, and self-perceived value. We emphasize connection to the earth and our brothers through evocative opening and closing ceremonies, meditative practices such as yoga and tai-chi, poetry, storytelling, drumming, and talking-stick sharing. Active listening, feeling, and authentic sharing are fostered in small groups led by experienced facilitators. Our weekend gathering takes place in a natural setting of beauty and ancient wisdom. Ceremonies signal the entry into a safe oasis at the start of the weekend as well as a re-energized return into the day-to-day world at its end. We take time to deeply explore and celebrate what it means to be men. We ask important and tough questions, have fun, enjoy camaraderie and experience true and genuine connection to other men. This is an opportunity for deep personal growth and spiritual renewal. It is a place to celebrate all that it means to be a man. From time immemorial, men have been hunters, providing food for family and community, and the rituals surrounding food are vital pillars of community. Recognizing this, we practice communal mealtimes, with every man participating in some aspect of food preparation and presentation. Sitting around a table sharing a feast that we have prepared together is one of the highest expressions of community. While many activities are available, each man is completely in charge of his weekend and all activities are optional. In addition, men are encouraged to bring fathers, brothers, and sons (older than 5). If you are interested in being part of a community of powerful and authentic men seeking to become their best selves and make a difference in the world, then this is the place for you. We come together in friendship and for personal growth, connection, sharing of our gifts, all in a beautiful and natural setting. Boys ages 5 and older, in the guardianship of a man, are welcome. Practice having more optimism, courage, joy, passion and love during the next year. Be in the presence of strong and authentic men who really care and really listen. Take the opportunity to create lifelong friendship. Join in story-telling, poetry, bonfire rituals and speaking from the heart with the talking stick. Experience renewed compassion for the men and women in your daily life. Share the passions and purposes that enrich your life. Have fun, enjoy camaraderie and experience genuine connection with other men. Feel you deserve a weekend dedicated to honoring your personal power. Have better relationships with fathers, sons, and brothers. Experience breathwork, a powerful technique for releasing emotions trapped inside you. Our own Paul Scribner recently sat down to talk with you about his experiences at our Men’s Gatherings! View All Our Video Testimonials! Are you involved in other men’s work related activities? Our vision is that our weekend is in part a ‘gathering of the tribes’. There will be time on Saturday afternoon for men to network and share about the work that they are involved in. Please let us know if you or someone in your organization would be interested in being available to speak about and introduce others to your group. The Washington Men’s Council makes some partial scholarships available each year for men who cannot pay the full fee. If you would like to donate to the scholarship fund, you may click on this button to do so, safely & securely. Although this is through PayPal, you don’t need a PayPal account to use your credit/debit card to donate! We welcome and appreciate your support.